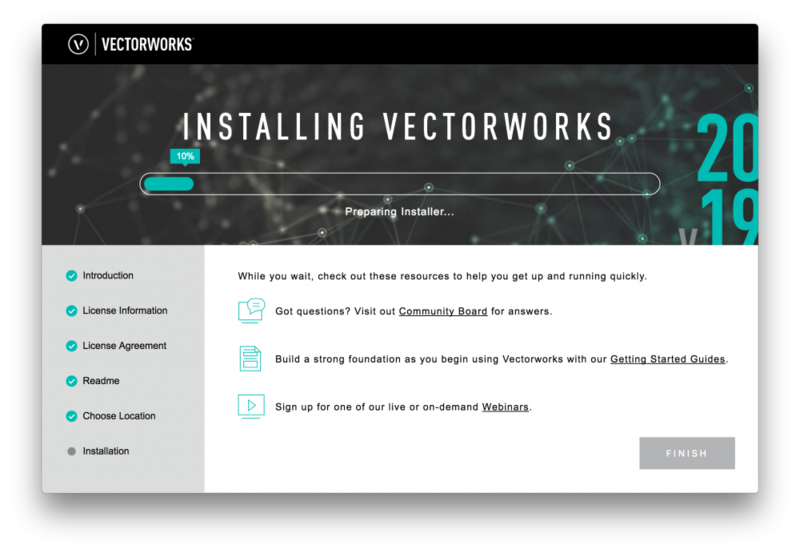 This article covers the basics of installing Vectorworks on both Mac and Windows operating systems. First, download the Vectorworks installer for your license. Normally you would do this from your Service Select downloads page. After downloading, double click (Mac) or Right Click > Extract (Windows) to expand the installer. The installer will appear. Click Continue. Enter your Vectorworks serial number, name and your company/school/organization name in the specified boxes. You must fill out these boxes in order to continue. When complete, click Next. Once you have real the End User License Agreement, check the box denoting this and click Next. Next you will see the Readme, like with the EULA, you can click "View Larger" to expand it for easier reading. Once complete, click Next. 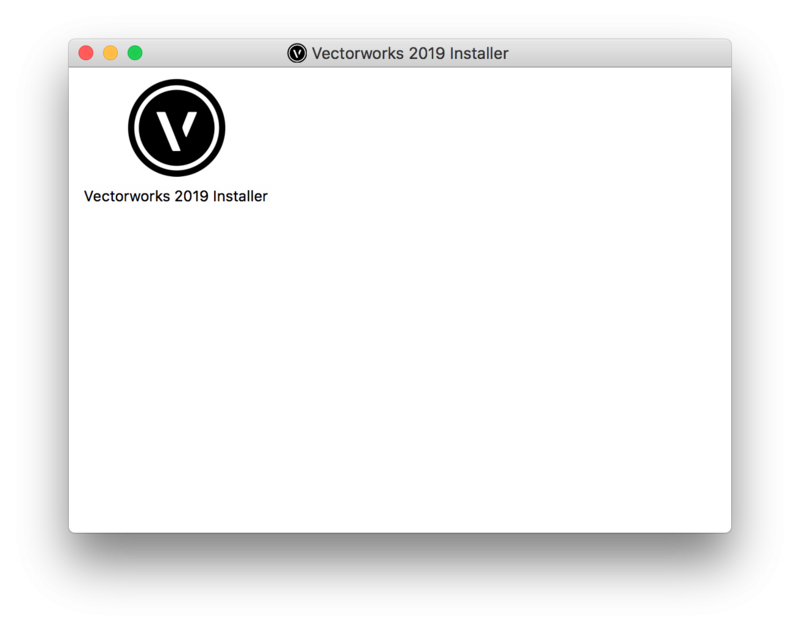 Next, you will see the default path for Vectorworks to install to. This should normally not be modified. Click Start. You may be asked to enter a name and password. This is your operating system login name and password, not your Service Select credentials. Installation may take a few minutes. 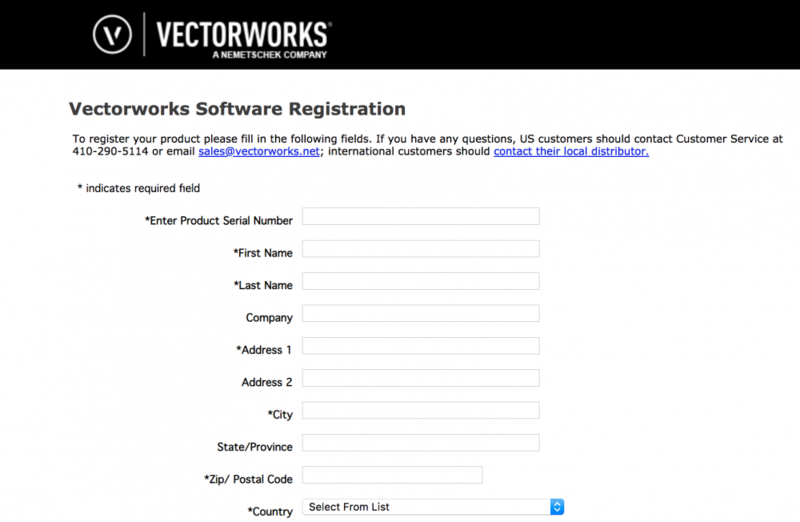 You can choose to Launch Vectorworks immediately, as well as to register your product if you have not done so before. Once complete, click Finish. Installation is now complete. It is not mandatory, but feel free to keep a copy of the installer for your records. This installer will be available to download later. And what about silent install? Vectorworks 2019 SP1 - has anything changed? The usual switches are not working for me. "There has been an error. 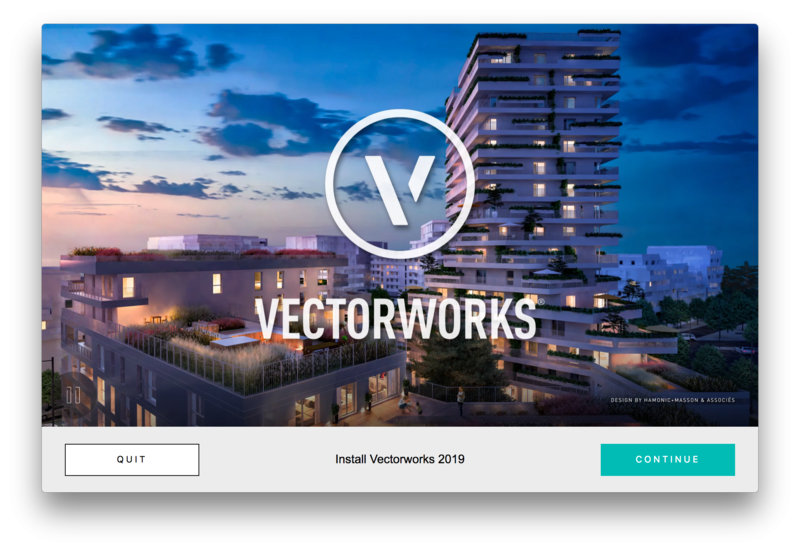 Use --help to get a list of valid options"
Contact tech@vectorworks.net directly, they should be able to get your sorted out. I figured it out and posted what I found. 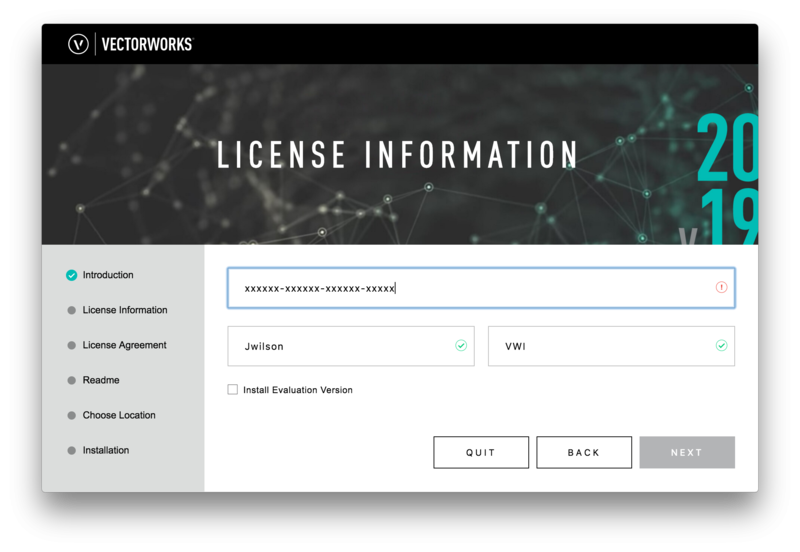 How can i add a student license in a trial version 2019 ? Thank you so much ! 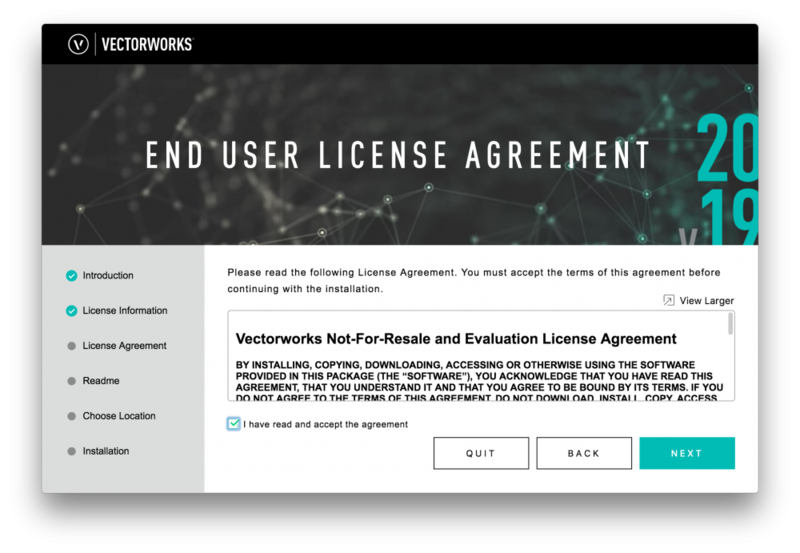 You might be able to go to Tools > Options > Vectorworks Preferences > License and then remove the trial key and add your student serial number. I had thought reinstallation was required but the more recent versions may just let you switch it out and restart. 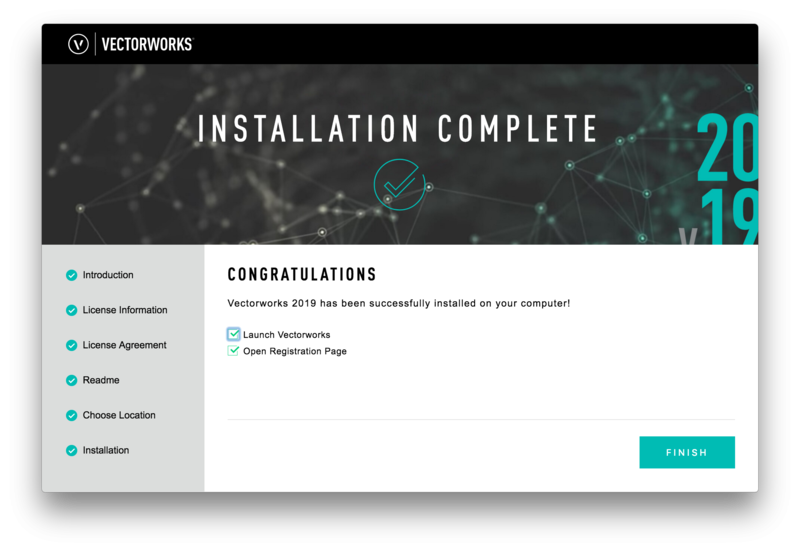 I have Vectorworks 2017 education version installed. Should i remove it to install the 2019 version? You can, but it is not required. The versions do not interact with each other. If I may; I'd strongly recommend keeping your installation of VW 2017 in place. When 2019 occasionally fails to operate in the manner intended or desired, I find it imperative to have an older version to backsave to, in order to get work done to satisfy my clients with a timely delivery. Thank you. 🙂 Will just let the 2017 be for the moment. It would also be good to compare the experience of both for myself.